Sondra Rhoades Johnson is Principal of Rhoades Strategies Consulting, having previously we’ve in an array of roles ranging from Fulton Conty Tax Commissioner, Georgia Technology Authority’s Chief Planning Officer for IT Strategic Planning, CEO of the St Croix Valley Girl Scout Council to Executive Director of the Georgia Council for the Hearing Impaired. Sondra has served on numerous boards and currently serves on the AARP GA Executive Council, President of the East Point AARP Chapter, and Executive Committee of the Magnolia Chapter of the Links, Inc. She is a graduate of Leadership Atlanta, the ARC Regional Leadership Institute, Leadership Georgia, and Leadership America. 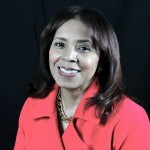 Sondra earned a BA from Spelman College and MBA from CAU. She and husband Charles S. Johnson, III have a blended family of four children and three grandchildren.